We are thrilled to announce that The Amaz!ng Meeting (TAM) returns in just a few months: July 10-13, 2014 at the South Point Hotel & Casino in Las Vegas, NV. Our theme this year – Skepticism and the Brain – is focused on the cognitive and brain sciences and how they inform the project of skepticism. Keynote speakers include the acclaimed philosopher, cognitive scientist, and best selling author Daniel Dennett and Scientific AmericanEditor-in-Chief Mariette DiChristina. Other speakers include neurophilosopher Patricia Churchland, Australia’s Dr. Karl, Evolution & Human Behavior Editor-in-Chief Robert Kurzban, Brainwashed: The Seductive Appeal of Mindless Neuroscience authors Scott Lilienfeld and Sally Satel, M.D., influential memory researcher Elizabeth Loftus, clinical neurologist Steven Novella, M.D., immunologist Paul Offit, M.D., National Center for Science Education’s Eugenie Scott, Skeptic Editor-in-Chief Michael Shermer, psychologists and best selling authors Carol Tavris and Richard Wiseman, and many, many more! This annual celebration of critical thinking is an unparalleled opportunity to make like-minded friends, enjoy some of the brightest minds on issues important to skeptics, and leave with tools for spreading a helpful and educational message to those who might be hurt by charlatans and unfounded belief. TAM has become the must-go-to event for skeptics and science advocates. Join James Randi and over a thousand other like-minded folks for four days of fun, friendship, and critical thinking! This past Sunday evening, I was interviewed on The Pink Atheist podcast/radio show. The topics of discussion were the vaccine survey research I was involved with and the importance of promoting a good pro-vaccine message, as well as talking about some of the physics behind various crazy demonstrations I perform both in and out of the classroom. I don’t often make posts about this particular topic, though I have definite feelings on the issue. If you call yourself a skeptic and/or atheist and you’re involved in the movement, you would have to have been living under a rock for the last couple of years to have missed how the issue of misogyny, sexual harassment, and assault has come to the front of much discussion in our community. What follows is a video made by a very brave woman whom I know, named Ashley Paramore. I’ve known her for a few years through our mutual involvement in the skeptic/atheist movement. She is a smart, beautiful, and talented woman who is quite passionate about skepticism/atheism, much like many of the women (such as those ladies at Skepchick and the Women Thinking, Inc) whom I have had the honor of meeting and working with these last few years. It saddens me to say that I personally know of at least two other women (as well as one man) who were similarly harassed and/or assaulted at skeptic cons in recent years. In one situation, I actually had to get physically involved to stop the assault and eject the perpetrator from the venue. Ashley is right: this sort of thing happens a LOT more often than many people might think. And while I applaud the efforts of various cons to set up methods of dealing with such situations as they arise (and yes, I also have my criticisms of other cons for not doing so), the best thing to do is to create an environment where such harassment and/or assault doesn’t occur at all. And for that, it takes all of us to be more aware of what is going on around us; it requires us to be willing to call out inappropriate behavior; it requires us to be willing to listen more and treat the experiences of women (and men, too) like Ashley seriously and in a non-judgmental manner; and it means that we need to provide support, either in public or private, for those who are willing to make a stand against such reprehensible behavior. 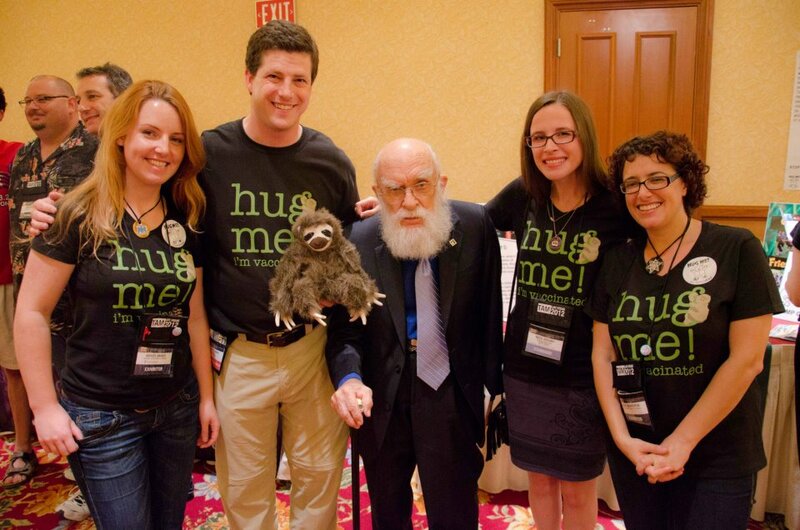 I am very pleased to announce that the James Randi Educational Foundation is now accepting applications for educators to attend The Amaz!ng Meeting 2013 in Las Vegas this summer. I have been involved in many previous TAMs on the educational outreach side, and one thing I can say is that we need to get more teachers, at all levels and from both science and non-science backgrounds, to events like this as much as possible. So, if you are interested or know someone who is, please spread the word and take a look at the information below; alternately, you could also consider donating to the educator grant fund. Are you an educator who would like to bring more skepticism and critical thinking into your classroom? Would you like to be inspired, energized, and informed? The Amazing Meeting is a great place to meet and network with other educators, get educational resources (including printed copies of the JREF’s education modules for classroom use), pick up tips, and be inspired. 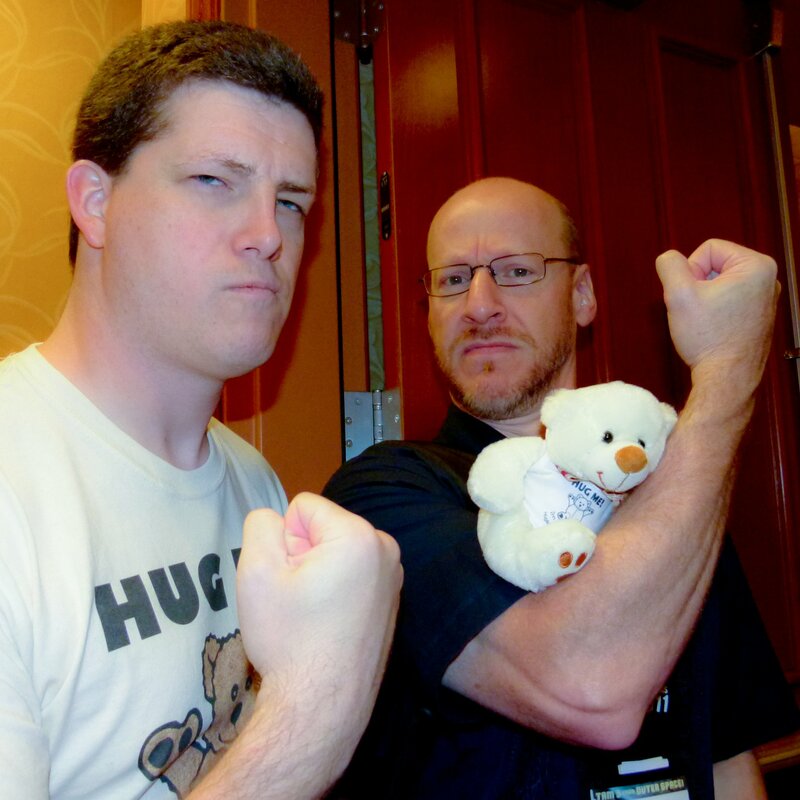 In addition to three days of superb talks and panel discussions, TAM 2013 offers a full day of workshops, including one which will focus on incorporating skeptical thinking lessons into non-science classes. The Amaz!ng Meeting is attended by people from all walks of life and all over the globe. Speakers include scientists, philosophers, journalists, educators, activists, and even entertainers. Simply put, TAM is the James Randi Educational Foundation’s yearly celebration of science, education, and critical thinking. Veteran TAM goers know the feeling of community and inspiration that a weekend with skeptics provides. The yearly meeting recharges our batteries and sparks new ideas for projects to promote skepticism and scientific thinking. Educators are in a unique position to reach our target audience, but they need good resources, the opportunity to discuss methods, and the kind of inspiration that events like The Amaz!ng Meeting provide. Educators who attend TAM will be able to bring what they have learned into their classrooms. A group of skeptics organized by mentalist Mark Edward and Wikipediatrician Susan Gerbic gather to protest the presence of Sylvia Browne at the Imperial Palace Hotel and Casino in Las Vegas on July 13, 2012. Recording by Susan Gerbic; editing by Ross Blocher. The group handed out a list of cold reading techniques that psychics use to give the illusion of knowing intimate details about their subjects. Another handout listed some of Sylvia Browne’s worst mistakes as a psychic. We encourage people to look them up: Opal Jo Jennings, Holly Krewson, Shawn Hornbeck, the Sago Miners, Terrence Farrell, Lynda McClelland, and Ryan Katcher. How to Help Vaccinate Everyone! Right now, we are in the middle of a severe pertussis (whooping cough) epidemic. In Washington state alone, cases over tentupled (which is a word that I made up for up more than times) since last year. In 2011, there were 146 confirmed pertusis cases through the first 20 weeks of the year. This year? 1738. That’s really bad, people. Really bad. And Washington, frankly, I’m a little disappointed in you. Pertussis is a disease that, if contracted, often kills infants. And once they contract the disease, the only treatment they receive is to stop them form spreading it. There is no shortening of the illness. There is no medicine to help the body fight it. There’s just medication to stop you from spreading it. And that “whoop” that gives whooping cough it’s name? That’s the sound of the sufferer struggling for air, being suffocated from inside their own body. But worst of all, where they usually catch it is from an adult who hasn’t been vaccinated against pertussis. So over here, in my little corner of the internet, with my tiny organization, we’re trying to fix this in every way we can… which is the only way we can, and that’s by vaccinating people against pertussis. If you can’t get infected with it, you can’t spread it. 1. Astrology Debunking Activity and Solutions – This activity allows you to test out the notion of astrology with your students in a controlled manner. It illustrates pretty clearly that astrology doesn’t really work. 3. Board Breaking & Karate – This is another subject on which I have written before (click the link). However, included in my blog analysis of the topic are some additional materials: an article about the physics of karate and a notesheet that I use in my classes to illustrate the physical principles behind this not-so-miraculous feat. 4. Einstein Cranks – This is a link to a blog post I wrote earlier about how many physics cranks and pseudoscientists abuse physics and the rules of science in an attempt to promote their nonsense. 5. EMF Woo – These are a collection of blog posts I have made over the years regarding the nonsense and pseudoscience surrounding EMFs (electromagnetic fields). These posts – and the lessons associated with them – range from addressing claims of low-frequency EMFs inducing cancer to ghost-hunting woo (and the companies that promote such nonsense). 7. Glasswalking – This is just a blog post and video of why it is that walking barefoot on broken glass won’t cut you, provided you don’t slide your feet. Hint: nothing paranormal or supernatural is required! 8. 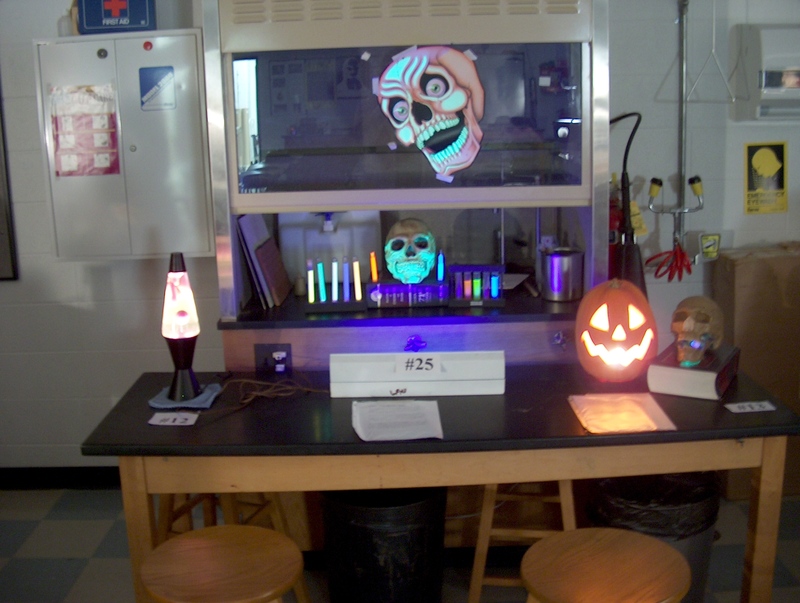 Haunted Lab – Every year around Halloween I do a special, exploration-based lab that incorporates a lot of cool physics concepts in with some debunking of paranormal claims. It’s great fun! 9. Hot Stuff! – In this collection of lessons I address pseudoscientific claims from the standpoint of thermal physics. Specifically, I have my students learn about how firewalking isn’t paranormal, and I also have them look at the claims that a man uses his “chi” to avoid getting burned when he puts molten lead into his mouth! 10. Magnetic Therapy – This lesson is an article and notesheet regarding this time-honored classic of alternative “medicine” woo. 11. Mega-Woosh Water Slide – A couple of years ago, this Internet video went viral, supposedly showing a man making a near-impossible jump across a valley using a huge water slide. Well, it wasn’t real, but a basic analysis of physics also shows it is highly implausible as well. 13. Optical Illusions – This is a really broad category: it includes a PowerPoint I give on illusions and pareidolia, an article I have my students read on so-called “mystery lights”, and some stuff about how spirit orbs are not what New Agers claim. 14. Ouija Board – At the link is a blog post I wrote on a lesson I use involving magnetic fields to get students to question the claims behind Ouija boards. 15. Pyramids & Aliens – These lessons focus on addressing claims by various UFOologists that aliens built the Egyptian pyramids. I have my students read an article from Skeptical Inquirer on the subject, then I give them a lecture on the physics of how humans (using simple technology) can build a pyramid, given time and a large workforce. 16. Movie Physics – In this end-of-the-year lesson, I get my students to think a bit skeptically regarding the physics presented in various movies. Genesis 1:3 And God said, Let there be light: and there was light. Genesis 1:13 And the evening and the morning were the third day. [Addendeum (8-2-11): How could there have been light before there were stars? The only scientifically viable option is to invoke the big bang model of cosmology, which many creationists such as Ray Comfort are loath to do, since they don’t like the fact that it clearly shows the universe is about 13.7 billion years old. So there’s another contradiction.] Okay, so there was day and night in the sky and on the Earth before there was a Sun (the greater light). How exactly does that jibe with our understanding of modern astronomy? Oh wait… it doesn’t. Folks, this sort of thing is just a taste of the multitude of inconsistencies found between a “literal” reading of the Bible and modern science. 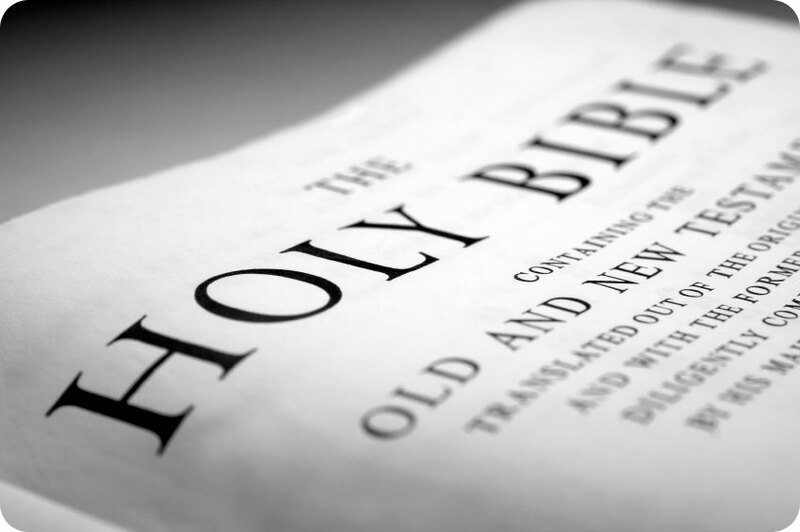 If you really want to see more, I suggest checking out the Skeptic’s Annotated Bible. 1. The fact that the ancient Greeks knew the Earth was NOT flat is also in direct conflict with the claims in the Living Waters pamphlet, which states that the ancients two or three thousand years ago thought the Earth was flat. 2. Modern science actually states that, due to the Earth’s rotation, our planet is not perfectly spherical. In fact, it is an oblate spheroid. So this fact is two steps removed from the text of Isaiah 40:22 – first that verse states the Earth is a circle, not a sphere; and second, if the Bible really were so accurate scientifically, why didn’t it just say “oblate spheroid”?